After Omaha’s major meatpacking plants moved out of South Omaha in the late 1960s, once-thriving stockyards were empty. The Hispanic and Native American communities were hit particularly hard, as the two communities overlapped in many areas, and people in both communities struggled to afford health care. Medical students from Creighton University, leaders from the Hispanic and Native American communities united with members of Gethsemane Lutheran Church, Creighton University School of Dentistry and Lutheran Metropolitan Ministries and worked diligently to find solutions. Their efforts resulted in the founding of the Indian-Chicano Health Center in 1970, which would later become OneWorld Community Health Centers. Established as a walk-in dental and medical clinic open during the evening, the Indian-Chicano Health Center provided much-needed health care services in South Omaha. A true civic effort, the clinic resided in the donated basement space of Gethsemane Lutheran Church at 20th and Castelar streets and was staffed by volunteers from the medical community. Volunteer physicians and students from Creighton University’s dental, nursing, medical and pharmaceutical schools; Clarkson College of Nursing; and the University of Nebraska Medical Center staffed the clinic. The clinic incorporated as a nonprofit organization in 1973. In 1974, we received our first funding from United Way. For the next 20 years, we continued to operate a grassroots, volunteer-staffed health center with only two paid clinicians. To house the growing needs of the center, Lutheran Metropolitan Ministries, now Lutheran Family Services purchased a building at 2702 S. 20th Street in 1979. It was renovated and the organization provided administrative support as the grassroots volunteer-driven health clinic continued to grow. During these years, the clinic hired a three-person staff and added community outreach, translation and transportation services. But more work needed to be done for the clinic to grow. By 1989, the clinic’s board of directors decided it was time to move and become a freestanding organization with our own executive director. In 1995, we hired our first full-time executive director, Sister Mary Kay Meagher, APRN, and Dr. Dan Dietrich generously volunteered to serve as the inaugural volunteer medical director. The clinic was now positioned to partner with others in the community to add new services, including an immunization clinic, which evolved into a child health clinic; lab services for sexually transmitted diseases; a women’s clinic; a prenatal clinic; and a WIC clinic to support nutrition in the community. With the addition of these services, client visits increased greatly. The clinic needed to expand. In January 1994, the health center relocated to 2904 S. 24th Street. In 1995, Mary Lee Fitzsimmons, R.N., Ph.D., became the second executive director and would lead the center through nine years. The staff grew to 15 employees. The number of volunteer medical clinicians increased, and partnerships expanded. Continuous growth meant that the health center needed a new facility, so in 1999 the center moved to a building at 36th and Q streets. The clinic was on its way up! In 2001, the Indian-Chicano Health Center received its designation as a Federally Qualified Health Center (FQHC) through the efforts of Dr. Fitzsimmons and was awarded our first annual federal operating grant from the Bureau of Primary Health Care. In 2002 she led the health center to receive Joint Commission accreditation. These achievements set the clinic on a course for expansion. In 2003, the Indian-Chicano Health Center was renamed OneWorld Community Health Centers, Inc., to better reflect our changing patient base. After the name change, we began seeing patients from more areas of the Omaha metro, which kept OneWorld growing at a steady pace. By 2004, with a budget of $4 million, OneWorld acquired adjacent space, and the staff increased to 60 employees. The health center was turning away 1,000 medical appointments a month. That year, the center’s CEO, Andrea Skolkin, MPA, and the OneWorld Board of Directors made the seminal decision to move to the center into Omaha’s historic Livestock Exchange Building, which had been sitting empty and in disrepair. How fitting that our ultimate location is where it all started back in the late 1960s. With a beautiful campus, this location has given us the space to continue expanding. 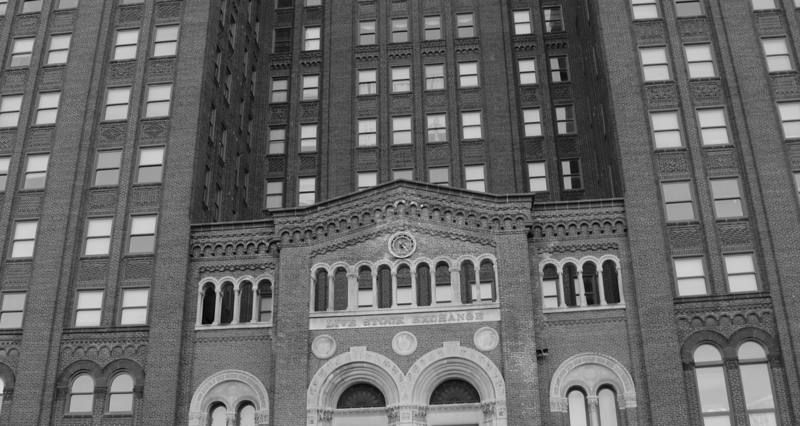 In 2005, the iconic Livestock Exchange Building, newly revitalized, became the headquarters of OneWorld Community Health Centers, Inc., and provided a highly visible landmark from which we can grow. In 2005, OneWorld also formed a partnership with the Omaha Chapter of Ronald McDonald House Charities to launch in 2006; the Care Mobile program, a mobile dental clinic that travels to schools and other locations in the community to provide convenient dental care to children who might otherwise go without. In 2006, OneWorld opened its first Quick Sick Clinic, for acute care, at the Livestock Exchange Building. We also added X-ray and pharmacy at our headquarters. 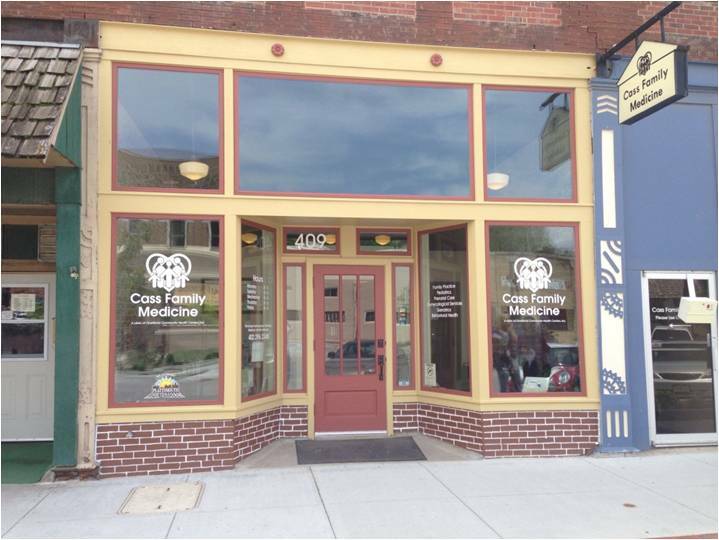 In 2008, we proudly opened our second location, Cass Family Medicine, in Plattsmouth, Nebraska, a high-need, rural area. We implemented electronic health records for our patients in 2009, and shortly after expanded our services to include an on-site pharmacy and additional health care clinicians. Also in 2009, OneWorld led the development of a network of area health centers to form the Heartland Community Health Network, and the Health Center Association of Nebraska (HCAN) was also incorporated as separate entities. This decade was one of remarkable expansion with the passage of the Affordable Care Act, which included funding for the expansion of community health centers like OneWorld, an incredible generosity and support from the philanthropic community, as well as bipartisan support of state funding from the Nebraska Legislature. The melding of public and private investment ensured that OneWorld had the resources to improve the health and well-being of vulnerable and underserved people in the community. We opened additional satellite clinics and expanded our services. We also took on a larger role as a community hub by adding affordable housing and culturally responsive education and support services. In 2010, we opened three School-Based Health Centers (SBHCs), at Indian Hill, Liberty and Spring Lake Elementary Schools. These clinics enable OneWorld to conveniently provide health care to Omaha Public Schools students and supplement appointments with their primary care physicians. In 2012, we added another SBHC at Bryan High School, and opened the Learning Community Centers of South Omaha; family literacy centers teach parents English, parenting, computer skills and expose them to academic possibilities for their children so they can better engage with their children’s learning, school and academic success. The Learning Community Center of South Omaha is a partnership with the Learning Community of Douglas and Sarpy County. OneWorld also opened a satellite clinic in West Omaha, again broadening our reach and increasing the number of patients we care for and earned Level certification as a Patient-Centered Medical Home (PCMH) by the National Committee for Quality Assurance (NCQA) in 2012. In 2013, OneWorld expanded its clinical capacity by constructing two additional buildings on the Livestock Exchange campus. This milestone project resulted in a new OneWorld Women’s Health Center, the OneWorld Baby Boutique, a medical resident clinic, an employee child care facility, exercise facilities, additional pediatric and family practice services, additional patient support services, moving the OneWorld WIC Clinic from another location to the renovated Livestock Exchange Building. This project transitioned OneWorld’s headquarters into a primary care and affordable housing campus. Also in 2013, OneWorld established a unique integrated primary-care behavioral health clinic, Crossroads to Recovery and Health, through a partnership with Community Alliance which has now evolved into their own clinic. Identifying additional areas with unmet medical needs led OneWorld to establish another satellite clinic in southwest Omaha in 2013, as well as a fourth SBHC at Bryan High School. In early 2014, we opened a satellite clinic in Northwest Omaha. At the same time, fire destroyed our clinic in Plattsmouth, requiring OneWorld to operate a temporary mobile clinic loaned to us by the UNMC College of Nursing. 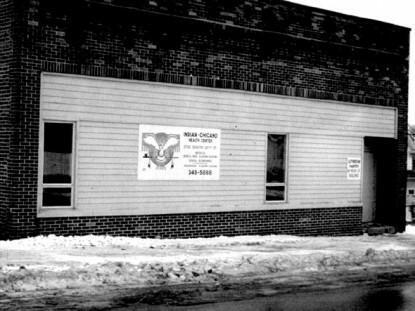 The clinic reopened in a new location later that year. OneWorld also launched Outreach and Enrollment Team to assist the community with enrollment in the Health Insurance Marketplace as well as Medicaid. In addition to the larger footprint in clinical services, OneWorld took a greater role in advocacy to ensure a public policy voice for our patients. We worked tirelessly to restore prenatal care for women in Nebraska’s Medicaid program; and continue to educate government, philanthropists and business leaders about the accomplishments and the needs of community health centers patients. In 2015, we opened the groundbreaking and first-of-its-kind OneWorld Teen and Young Adult Health Center. 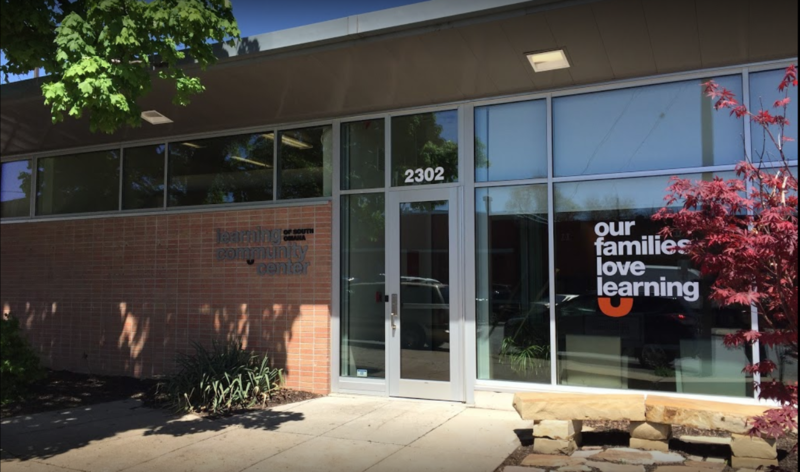 Located near Omaha’s South High School, the center was established in response to the need for a stronger focus on adolescent health care, to address Omaha’s high rate of sexually transmitted diseases (STDs), and to decrease the teenage pregnancy rate. Recognizing a vulnerable and underserved population in Sarpy County, OneWorld opened a satellite clinic location in Bellevue later in 2015. We also launched a second mobile dental clinic, the Tooth Mobile, in partnership with Charles Drew Health Center, to provide dental care for children in North Omaha. Today, OneWorld Community Health Centers is committed to continuing the mission we started in 1970: Reaching out to provide top-quality, affordable health care to the Omaha area’s vulnerable and underserved populations. 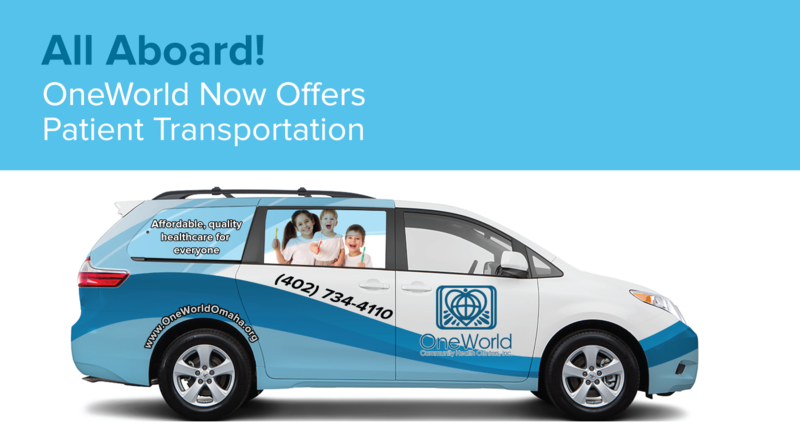 In 2016, OneWorld established a patient transportation service designed to give low-income patients easier access to our health care services and minimize a barrier that prevents many patients from attending appointments. During the 2016-2017 school year, OneWorld’s School-Based Health Centers (SBHCs) added teledentistry to their clinics, and the behavioral health staff at Bryan High School’s SBHC began administering the evidence-based Rapid Assessment for Adolescent Preventive Services (RAAPS) to every freshman student with a goal of addressing risk factors that impact youth’s well-being and academic success. In spring of 2017, OneWorld’s Board of Directors adopted an immigration reform policy position and agreed to support the Deferred Action for Childhood Arrivals program (or DACA) and protection of refugees. Andrea Skolkin, CEO of OneWorld, traveled to Washington, D.C. to speak to Nebraska’s elected officials about the importance of reauthorizing community health center funding and supporting the DACA program. OneWorld Community Health Centers expanded its clinic in northwest Omaha (located at 4229 N. 90th St.) to include a same-day care clinic in 2017. The new clinic offers patients the ability to make a same-day appointment or to walk in and receive same-day medical or dental care. Also in 2017, OneWorld expanded its ability to help transgender patients who wish to begin the transition process through hormone therapy. OneWorld providers also help patients who are already engaged in hormone therapy. Recent collaborative partnerships have allowed us to go beyond health care and provide more resources to the most vulnerable members of our community. OneWorld and the Immigrant Legal Center (ILC) formed a unique, Immigrant-focused Medical/Legal Partnership. This partnership assists qualifying OneWorld patients by providing them with an immigration attorney who answers immigration-related questions, identifies potential forms of relief and, if relief is available, provides direct legal assistance free of charge. Similarly, a OneWorld provider was worried after hearing that some of her patients at the Women’s Health Center were frequently hungry, so a partnership was created with Saving Grace Perishable Food Rescue, a local nonprofit that delivers excess perishable food to nonprofits that feed the hungry. Patients can now come to the Women’s Health Center on Friday afternoons to receive bags of healthy groceries from staff members and volunteers. Providing healthy food options for our employees has also been a priority. The Employee Council added a healthy self-service snack bar in a break room at the Livestock Exchange Building campus. Additionally, Saving Grace Perishable Food Rescue drops off healthy Eat Fit Go meals for employees once per week, and employees can donate money for a meal. All proceeds from the Eat Fit Go meals benefit OneWorld’s annual coat drive for pediatric patients. In 2018, OneWorld clinics cared for 46,292 unique patients. In 2018, OneWorld began offering Medication-Assisted Treatment (MAT) for people who are struggling with substance use. MAT combines behavioral health therapy and medications like Buprenorphine/Suboxone and others to treat people with substance use disorders. The Joint Commission also re-accredited OneWorld to provide ambulatory (outpatient) care and certified all clinic locations as Patient-Centered Medical Homes.